The XXI International Triennial will be taking place in Milan from 2nd April- 18th September this year. The main theme will be: 21st Century. Design After Design. The exhibition will be staged in Milan, a city that recently hosted Expo 2015, after a lengthy absence of twenty years and will not only embrace its traditional venue but also spread right across the city. A liquid Triennial, which will be hosted at its official location and also twelve other places with 20 exhibitions being staged at important public and private venues, such as university campuses, museums, Villa Reale in Monza and also the Expo site. In the wake of the Expo, Milan will once again be the focus of international attention thanks to a unique event, which, despite a lengthy absence that nobody has plausibly accounted for, will be up and running again and fulfil its official mission of hosting international exhibition every three years. An exhibition, which, like a small Expo, is even registered at the Bureau International des Expositions in Paris and will play host to dozens of official participants from foreign countries. Another wonderful opportunity for the city of Milan to show the entire world the very best ideas and proposals that Italy has to offer. Let’s not forget that in the now distant past Triennials were always exceptionally good testing grounds for new proposals allowing the very best of Italian creative talent to emerge. 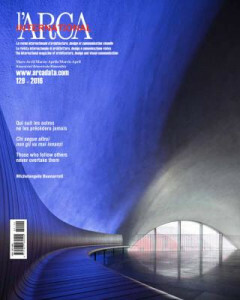 autarky is reminiscent of what happened with Expo, which mainly saw the involvement of professional people from Milan. Once again, despite the fact that these are national events financed by the Government, professionals from other regions will not be allowed to express themselves. After visiting the 20 exhibitions, we will draw our own objective conclusions in May.